tvN has announced that ep.3 of “A Korean Odyssey” will air Saturday, January 6, 2018. Ep.3 was originally scheduled to air on Saturday, December 30, 2017, but a series of errors, glitches and one serious injury of a crew member caused filming to be paused while additional safety measures were implemented. The Korean media learned on December 26, 2017 that a crew member fell about 3 meters (10 feet) while hanging a chandelier on December 23, 2017 and became paralyzed. This follows an error prone airing of ep.2 on Sunday, December 24, 2017 which caused tvN to re-air ep.2 on Monday, December 25, 2017. 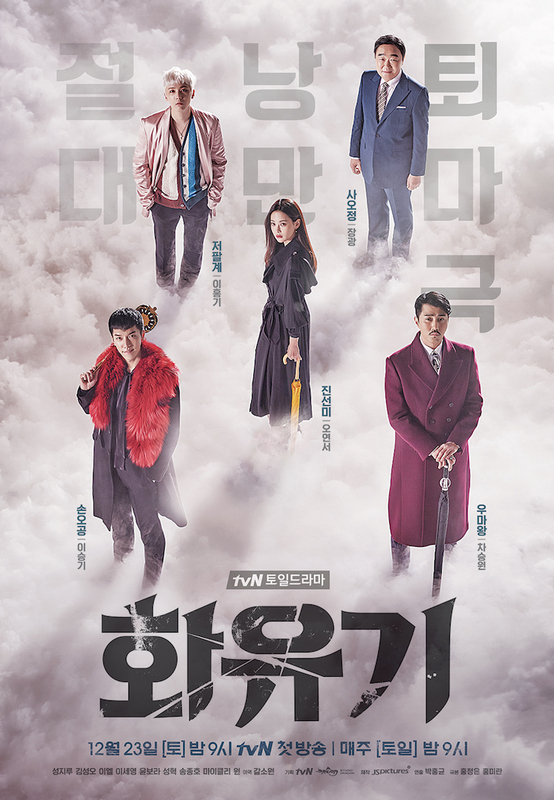 “A Korean Odyssey” is a highly anticipated drama series that is a remake of classic Chinese novel “Journey to the West” and stars Lee Seung-Gi, Cha Seung-Won and Oh Yeon-Seo.